G4ILO's Blog: Happy Birthday Olga! 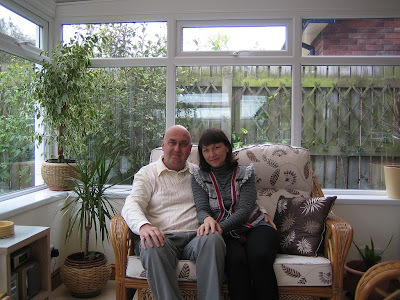 Today is my wonderful wife Olga's 60th birthday. Without her amazing help and support I don't know if I would have the strength to cope with this brain tumour. I keep up the fight so that I will still be here to help celebrate the next one. Happy 60th birthday, Olga! That's why we're here to say. Happy Birthday Olga.... and a good day to you also Julian. Thanks for sharing. Wish you both the very best. Happy Birthday Olga and what a nice photo and Julian lookin good keep up the great blog. Julian, Olga is certainly a blessing and it's nice to see a picture of soulmates!! What a lovely picture of you two. That is a really great picture of the two of you. Happy Birthday Olga! Happy Birthday from Sunny Arizona.